Laptop Outlet LTD has been identified as one of London Stock Exchange Group’s 1000 Companies to Inspire Britain. The report is a celebration of the UK’s fastest-growing and most dynamic small and medium sized businesses across the UK. 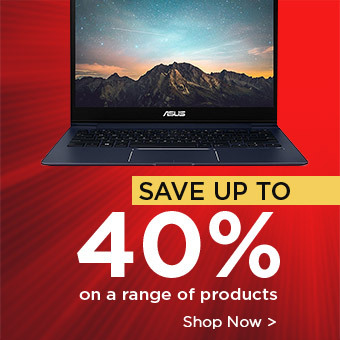 Laptop Outlet are one of the UK’s leading online retailers of technology, selling everything from laptops, tablets, to gaming gear and more from leading manufacturers such as ASUS, Lenovo and LG. The continued growth of the business is due to the combination of their wide range of product offering, competitive prices, long standing business relationships with manufacturers and excellent after-sales service offered to their customers. Following a strategised approach in retailing via the various online revenue streams, Laptop Outlet are able to achieve yearly business growth and overall trade. Mother’s day is just a few days away and if your mum is a bit of a techie at heart and has a love for gadgets and all things technology then why not treat her to the perfect tech gift. Sometimes a bouquet of flowers just doesn’t seem like enough, and if you want to buy your mum something special that will last much longer, then continue reading for our list of the top 5 tech gifts for Mother’s Day. The Marware leather wallet case is perfect for your fashionista mum to keep her iPhone 5 or 5s safe, whilst also looking stylish which is why we have included it in our list of the top 5 tech gifts for Mother’s Day! 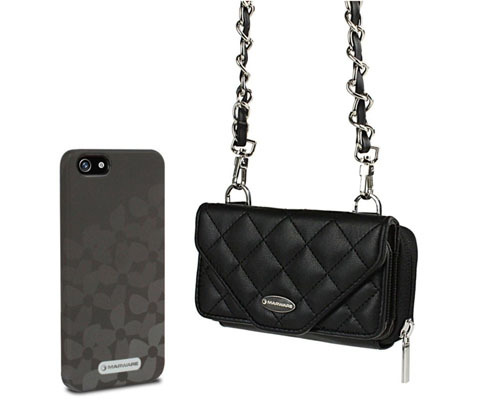 The accessory is convenient to use and comes included with a free matching phone case to go with the wallet styled bag. It is genuine leather and is durable enough to withstand everyday use. It also has detachable shoulder and wrist straps so it can be used for carrying out general mum duties and also as a clutch for special occasions. The two sections of the wallet include a slot for an iPhone as well as a full zipper section making this little wallet mum friendly and multi-functional. 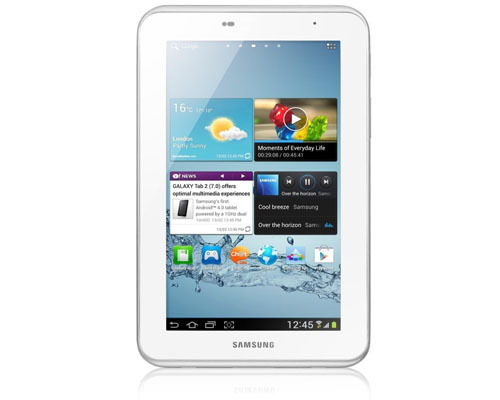 We previously mentioned the Samsung Galaxy Tab 2 in our blog post on the best tablets under £100 (read here) and this tablet is the ultimate no fuss, device. It’s straight forward to use with its Android 4.2 jelly bean operating system making it fun and extremely simple for every mum to use. The user interface is fully customisable and un-complicated to use. It has a built in, front facing camera and integrated speakers for seamless video calls. It also has a built in mp3 player for all of your mums favourite songs and provides easy navigation across the device to allow easy access to all songs, games and even eBooks. It is also thin and light for stress free, reading on the go. A Smartwatch is the latest craze sweeping the world and the Pebble range is one of the most successful amongst them all. 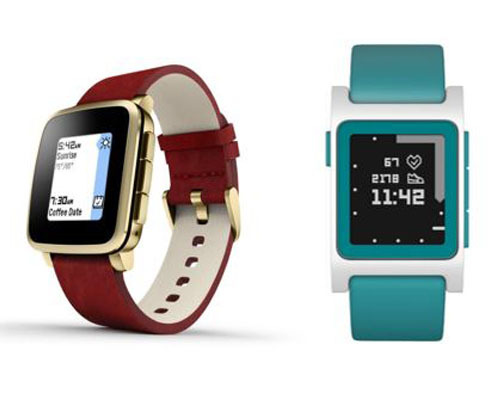 The Pebble Time Steel Smartwatch (left) as well as the Pebble 2 HR (right) are both compatible with Android phones as well as iPhones allowing for easy connectivity across all your devices. The HR 2 is waterproof and has an e-paper display for easy viewing and a built in pedometer so your mum can keep track of her steps with ease. The Time Steel Smartwatch comes in a stunning gold and red colour with a classic look that every mum is sure to love, it is water resistant and has a 10 day battery life so mum doesn’t have to worry about charging every day. It also has an activity and sleep tracker. They are both priced at £84.99 making them affordable but powerful Smartwatches. Every Pebble also gets you access to the Pebble Appstore where you can find 8000 apps so the Smartwatch never gets boring. The HP Pavilion is a necessary feature in our top 5 tech gifts for Mother’s Day list; a convertible laptop is the ideal device for any mum who doesn’t like the bulky feel of a normal laptop. 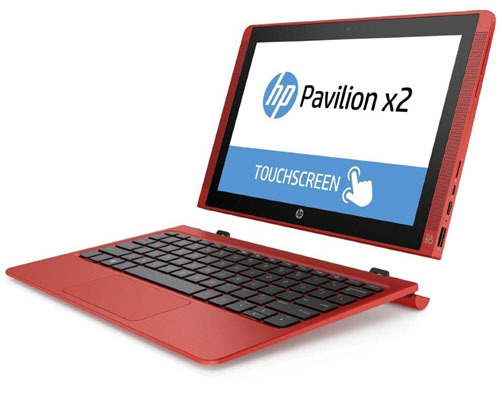 The HP Pavilion X2 has a removable keyboard which has a magnetic hinge so you can attach and detach it easily, eliminating the time wasted with fiddly keyboards. 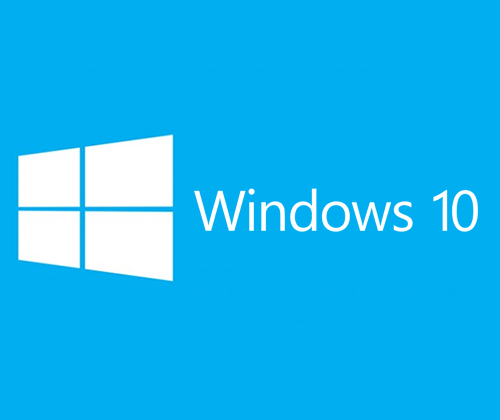 It has a Windows 10 operating system as well as a micro HDMI port and SD card reader, making file sharing with your mum simple and fast. It has a HP TrueVision HD webcam with an integrated microphone, so keeping in touch will never be an issue. It also has a long lasting battery and easy Wi-Fi connectivity, so you can video chat on the go, without the added stress of the battery draining. 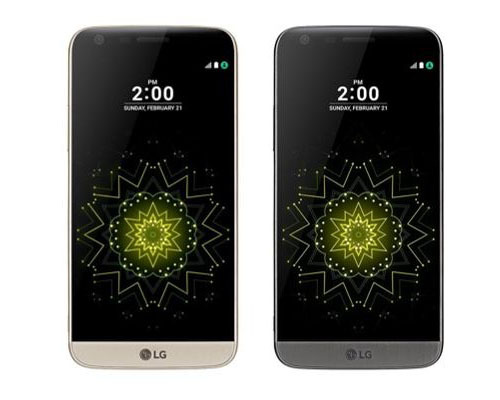 The LG G5 SE is a revolutionary and innovative smartphone that features a modular design, allowing you to completely remove the interchangeable battery and replace it with other accessories and components. It is available in stunning gold and grey colours. The G5 SE has a 16MP wide angle lens camera so you can take high quality, unique photographs and it also has extensive zoom options too! The ‘always on’ display keeps the time, date as well as your notifications on the screen, so you don’t need to struggle to unlock the phone in order to simply see the time. We currently have a bundle deal that includes a Bang & Olufsen Hi-Fi speaker, which you can slot into the G5 SE for superior sound quality, as well as B&O headphones. The speaker also works separately and is compatible with other devices, so you can always borrow and swap it around, all you like. We hope you enjoyed reading our top 5 tech gifts for Mother’s Day and that we made the difficult task of choosing a Mother’s day gift, easier for you! Leave a comment below and let us know what your Mother’s day plans are! 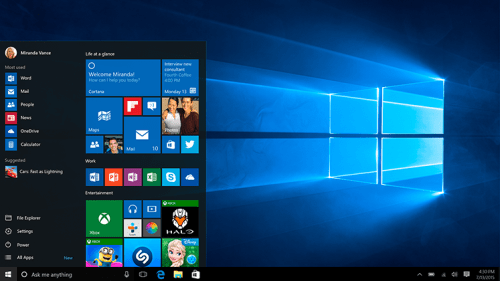 Calling all UK customers, you can now buy your ideal laptop without paying all at once! Spread the cost with PayPal Credit – now available at Laptop Outlet. As long as your purchase is above £99, you can choose the straightforward process of spreading the cost of your purchase over 6 or 12 months. PayPal Credit makes purchasing devices from Laptop Outlet easier than ever! At Laptop Outlet, we have a huge range of affordable devices from leading manufacturers including Lenovo, ASUS, Toshiba, Samsung and Apple. Installment offers from PayPal Credit give you the option to spread your payment over a time span of 6 or 12 months. Laptop Outlet Ltd acts as a broker and offers credit from PayPal Credit. Now it’s even easier to get your hands on an affordable device, as you can quickly and easily apply for PayPal Credit when you’re on the checkout page. It will only take a few minutes to apply, and you won’t have to worry about paying for your purchase all at once. This convenient payment method is great for students, or those on a tight budget and it means anyone can get their hands on a premium device, regardless of your budget. Gaming laptops are known to be a pricy and luxurious purchase, so PayPal Credit is a great way to purchase your ideal one. PayPal Credit is a credit route from Comenity Capital Bank, and it allows customers the option of paying for their purchase over time, if they prefer not to pay all at once. The service is easy and quick, so it can be used by anyone. If you have any questions about PayPal Credit and how it works check out PayPal Credit Basics. If you’re a UK customer and have your eye on something which is £99 or more at Laptop Outlet, take advantage of this convenient way to pay now! Has the PayPal Credit method motivated you to make a purchase? 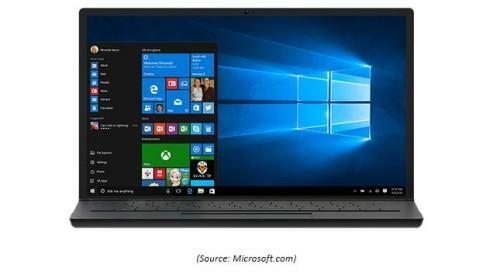 Are you on the lookout for a new laptop, tablet or smartphone? Check out our huge range of tech devices and accessories at http://www.laptopoutlet.co.uk. *If you are approved for a credit limit with PayPal Credit, and use it for future purchases, the standard variable rate will apply. This is currently 17.9% APR (variable). There are many perks of student life, and one of the biggest ones is student discount. You can make great savings by using your student discount on anything from clothes, food, tech and more! Using your student discount card, whether in-store or online, allows you to make great savings on student essentials which are required during your time at school, college or uni. Where to start? It can be overwhelming making the transition from school to college, or college to university, especially after the summer holidays, so you may not know where to start to make the most savings. The main student discount sources in the UK are Student Beans, UniDAYS and NUS Extra. You can make huge savings from these providers, whether that’s saving money on a late-night takeaway or a top-of-the-range laptop. With UniDAYS you can get 10% off Apple products! Student discount on Apple laptops is great news as they are known to have top of the range devices. MacBook Pro and MacBook Air are both hugely popular devices with university students, as Apple are known to create high-quality powerful devices which will last you a long time. 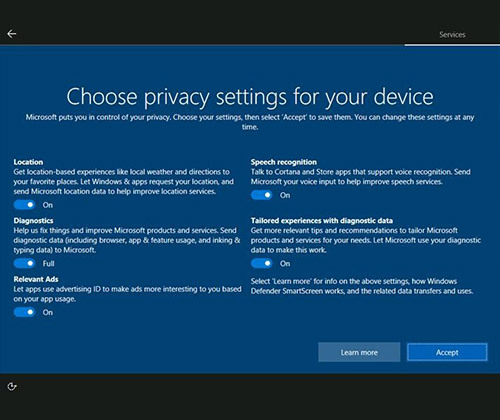 It is also a plus point that you can easily take the device to an Apple store in case any issues do pop up, and know that it will be resolved without hassle. Also, avoiding internet viruses is crucial as you will have important work saved on your device and Apple laptops are great for this as viruses are extremely rare on OS X. Purchasing an Apple laptop, along with the 10% student discount, means you will save on security software in the long run. With Student Beans you can get 20% off your Lenovo order! There is also the bonus of free shipping on all orders over £50, which means you can make great savings on one of Lenovo’s high quality devices. 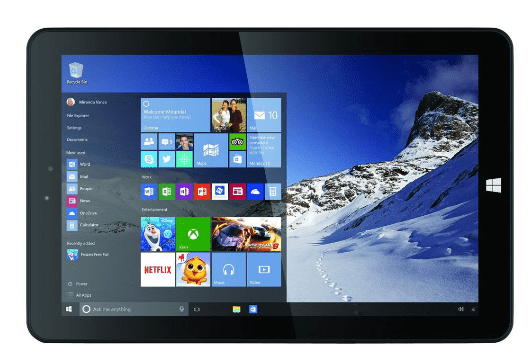 Student discount on Lenovo laptops means top laptops such as the Lenovo IdeaPad and Lenovo YOGA 3 can be purchased at a much cheaper price. If you’re looking for a laptop to get work done, the IdeaPad 500 is the best choice. The Intel Core i7 (6th Gen) processor is the most powerful out of the Intel family, so you can multitask away, run apps simultaneously and also run power-consuming software with ease, all without worrying about draining battery life. 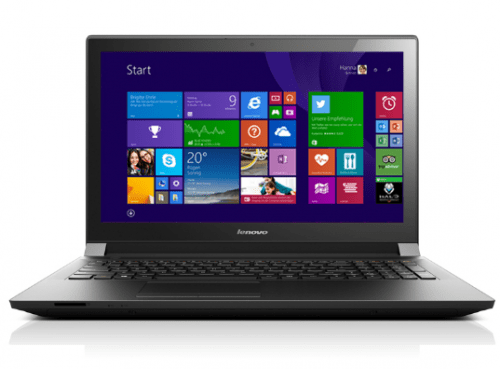 Lenovo cater to a range of different laptop users, and have brilliant student laptops, whether you need a laptop that can double-up as a powerful gaming device, multimedia-friendly device or even a tablet to carry around in your bag. We hope this guide about student discount on laptops in the UK was helpful to you, and that you manage to make huge savings whilst studying. Using the discount sources we listed will ensure you make savings on almost everything you need whilst at school, college or university. Mother’s Day is quickly approaching (Sunday 6th March), and we have a wide selection of products, ranging from home décor, beauty and tech, to ensure you can purchase the ideal Mother’s Day gifts. Prices start from only £13.99, in order to suit every budget. Laptop Outlet offers next day delivery so view our top Mother’s Day gifts for last-minute shopping. 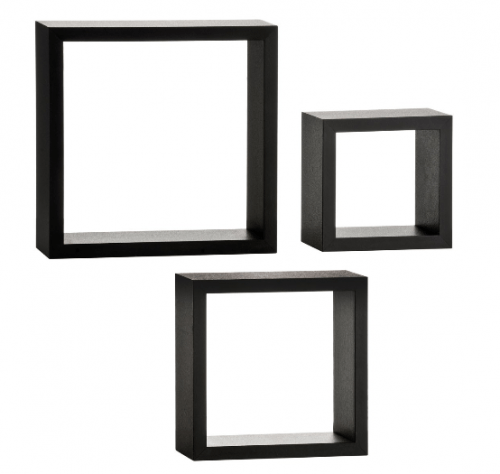 This set of 3 premium wall cubes are perfect for modern home décor; they are ideal for hanging pictures or frames of all your wonderful memories, or even on their own as a statement wall feature. A great affordable gift for Mother’s Day! The Body range by Elle Macpherson has been developed to maximise your beauty potential. The Elle Macpherson 8-in-1 Manicure and Pedicure Set includes 2 different roller sizes (for heels, soles and toes), 2 different micron grades (for exfoliation and smoothing), 4 nail care tools (for filing, polishing and cuticles) and an adjustable transparent guard –all at a very affordable price! This high-quality set is ideal for at-home manicures/pedicures. Part of The Body range by Elle Macpherson, the 4 in 1 Face and Body Brush provides an effective all over body treatment whether used wet or dry. 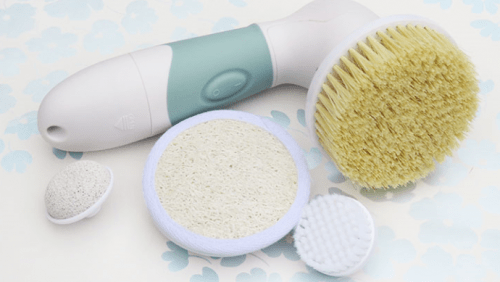 It includes a cactus dry brush for improved circulation, a pumice stone for smooth soles, a loofah to exfoliate, and a facial cleansing brush –all designed to reveal cleansed and glowing skin after use. This luxurious facial steam spa treatment by Champneys is a quick and simple beauty treatment, it provides a relaxing facial sauna to cleanse the T-Zone efficiently as well as proving relief from congestion or flu. It is a timeless Mother’s Day gift which is useful for everyone! 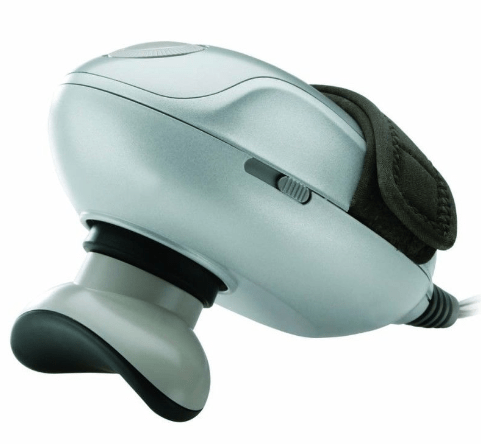 This Champneys Hand Held Cellulite Body Massager is ideal for getting rid of cellulite and providing muscle relaxation, making it the perfect Mother’s Day gift! 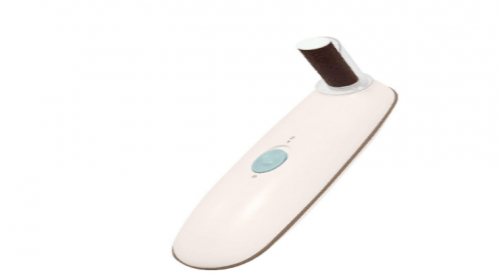 It is a lightweight device which effectively removes cellulite and detoxifies, and can be easily operated with the help of the strap-fastening massager. 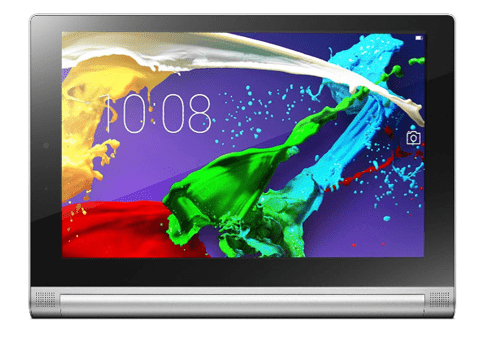 The Linx 1010B 10.1” Touchscreen Quad Core Tablet is the perfect portable accessory for any mother. 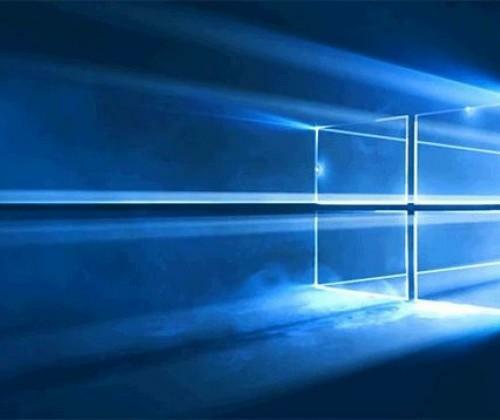 It includes a high-performance Quad Core Intel processor, along with the latest Windows 10 features, and a substantial display which is perfect for small-time entertainment. The Lenovo Yoga 2 10.1” tablet features a striking lightweight design along with great performance, high-quality speakers and a great battery life. All these great features at an incredibly affordable price, making it the ideal Mother’s Day gift. 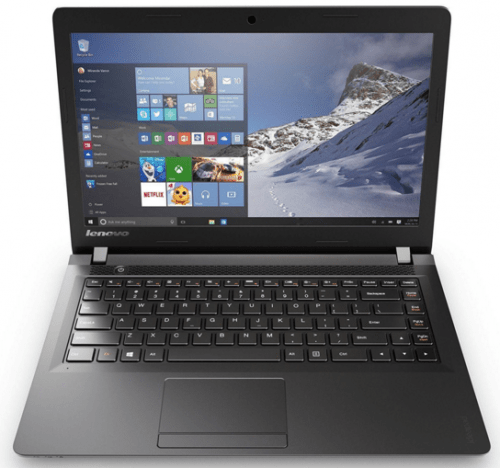 The Lenovo Ideapad 100 features a powerful Intel Celeron processor, integrated Intel HD Graphics, a decent battery life, detailed screen resolution, and Windows 10 software, making it the ideal device for carrying out everyday tasks. Any mum would love this practical high-performance device for Mother’s Day. The Lenovo B40-45 features a detailed 15.6” HD Widescreen display with 1366 x 768 resolution. It has additional features including Stereo Speakers with Dolby Advanced Audio v2, AccuType Keyboard, Enhanced Graphics and swift connectivity. This feature-packed device is the ideal laptop for everyday or work use. 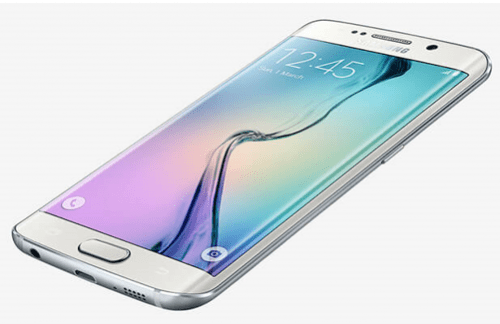 The Samsung Galaxy S6 is one of the best smartphones currently available, so it will evidently be the perfect Mother’s Day gift for anyone in need of a premium feature-packed smartphone device. Featuring a new and unique exterior design, along with excellent camera quality, the Samsung Galaxy S6 produces the beautifully vibrant and saturated images which Samsung is already known for. This hugely varied range of products ensure that you will definitely find the ideal Mother’s Day gift for anyone. Check out our full range of products at www.laptopoutlet.co.uk for more gift ideas!